Life is quiet and ordinary in Amal's Pakistani village, but she has no complaints, and besides, she's busy pursuing her dream of becoming a teacher one day. Her dreams are temporarily dashed when - as the eldest daughter - she must stay home from school to take care of her siblings. Amal is upset, but she doesn't lose hope and finds ways to continue learning. 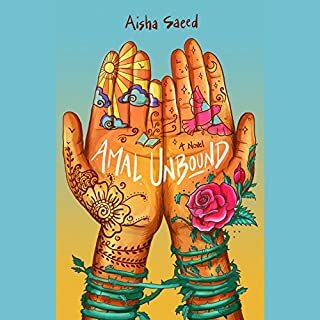 Then the unimaginable happens - after an accidental run-in with the son of her village's corrupt landlord, Amal must work as his family's servant to pay off her own family's debt. Every year the people of the Protectorate leave a baby as an offering to the witch who lives in the forest. They hope this sacrifice will keep her from terrorizing their town. But the witch in the forest, Xan, is kind and gentle. She shares her home with a wise Swamp Monster named Glerk and a Perfectly Tiny Dragon, Fyrian. Xan rescues the abandoned children and delivers them to welcoming families on the other side of the forest, nourishing the babies with starlight on the journey. Eleven-year-old Parvana lives with her family in one room of a bombed-out apartment building in Kabul, Afghanistan's capital city during the Taliban rule. Parvana's father- a history teacher until his school was bombed and his health destroyed- works from a blanket on the ground in the marketplace, reading letters for people who cannot read or write. One day he is arrested for the crime of having a foreign education, and the family is left without someone who can earn money or even shop for food. 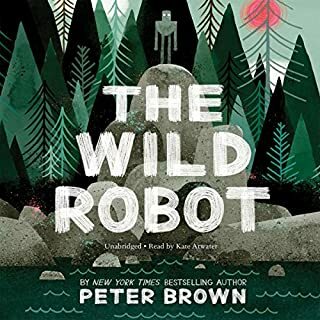 Shipwrecked on a remote, wild island, Robot Roz learned from the unwelcoming animal inhabitants and adapted to her surroundings - but can she survive the challenges of the civilized world and find her way home to Brightbill and the island? 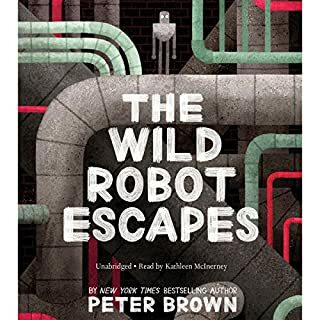 From best-selling and award-winning author Peter Brown comes a heartwarming and action-packed sequel to his New York Times best-selling The Wild Robot, about what happens when nature and technology collide. August (Auggie) Pullman was born with a facial deformity that prevented him from going to a mainstream school - until now. He’s about to enter fifth grade at Beecher Prep, and if you’ve ever been the new kid, then you know how hard that can be. The thing is Auggie’s just an ordinary kid, with an extraordinary face. But can he convince his new classmates that he’s just like them, despite appearances? 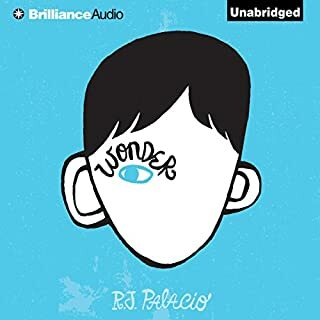 R. J. Palacio has crafted an uplifting novel full of wonderfully realistic family interactions, lively school scenes, and spare emotional power. 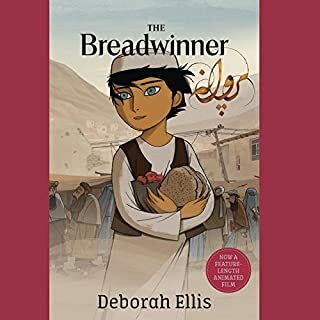 This timely and powerful novel tells the story of three different children seeking refuge. Josef is a Jewish boy living in 1930s Nazi Germany. 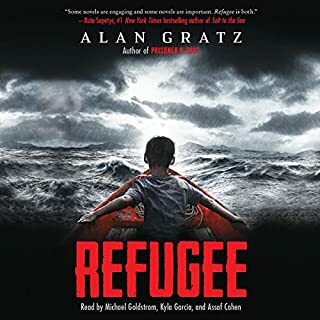 With the threat of concentration camps looming, he and his family board a ship bound for the other side of the world. Isabel is a Cuban girl in 1994. With riots and unrest plaguing her country, she and her family set out on a raft, hoping to find safety in America. Mahmoud is a Syrian boy in 2015. With his homeland torn apart by violence and destruction, he and his family begin a long trek toward Europe. These stories are an extra peek at Auggie before he started at Beecher Prep and during his first year there. Listeners get to see him through the eyes of Julian, the bully; Christopher, Auggie's oldest friend; and Charlotte, Auggie's new friend at school. 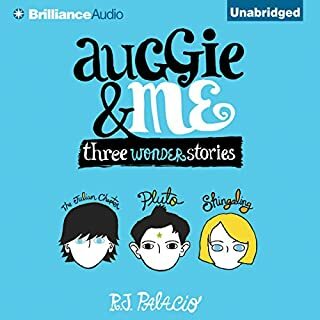 Together, these three stories are a treasure for listeners who don't want to leave Auggie behind when they finish Wonder. For generations, four Clans of wild cats have shared the forest according to the laws laid down by their ancestors. 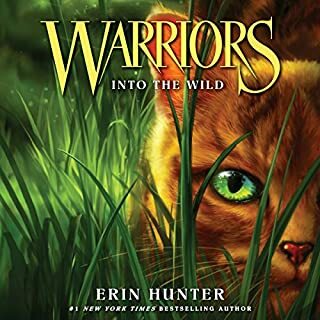 But the warrior code is threatened, and the ThunderClan cats are in grave danger. The sinister ShadowClan grows stronger every day. Noble warriors are dying - and some deaths are more mysterious than others. In the midst of this turmoil appears an ordinary housecat named Rusty...who may turn out to be the bravest warrior of them all. Ivan is an easygoing gorilla. Living at the Exit 8 Big Top Mall and Video Arcade, he has grown accustomed to humans watching him through the glass walls of his domain. He rarely misses his life in the jungle. In fact, he hardly ever thinks about it at all. Instead, Ivan thinks about TV shows he's seen and about his friends Stella, an elderly elephant, and Bob, a stray dog. But mostly Ivan thinks about art and how to capture the taste of a mango or the sound of leaves with color and a well-placed line. In 1985 southern Sudan is ravaged by war. Rebels and government forces battle for control, with ordinary people…people like the boy, Salva Dut…caught in the middle. When Salva's village is attacked, he must embark on a harrowing journey that will propel him through horror and heartbreak, across a harsh desert, and into a strange new life. 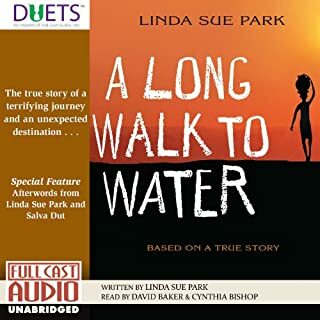 Years later, in contemporary South Sudan, a girl named Nya must walk eight hours a day to fetch water. The walk is grueling, but there is unexpected hope. Pax and Peter have been inseparable ever since Peter rescued him as a kit. But one day the unimaginable happens: Peter's dad enlists in the military and makes him return the fox to the wild. At his grandfather's house 300 miles away from home, Peter knows he isn't where he should be - with Pax. He strikes out on his own despite the encroaching war, spurred by love, loyalty, and grief, to be reunited with his fox. 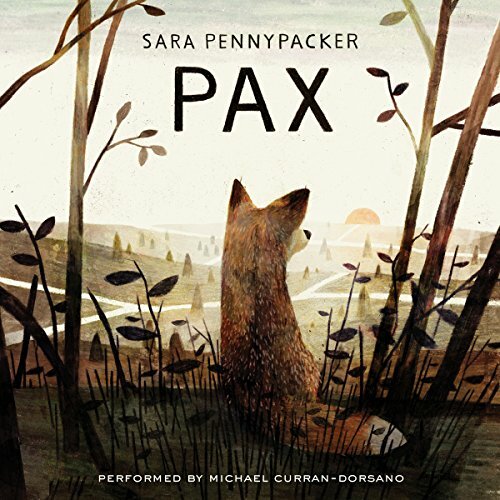 From best-selling and award-winning author Sara Pennypacker comes a beautifully wrought, utterly compelling novel about the essential truths that define us and the devastating costs of war. Pax is destined to become a beloved classic. What did you love best about Pax? The poetic storytelling that connects humans and animals and packs a lot of metaphor and relatable content into one tale. What about Michael Curran-Dorsano’s performance did you like? I loved everything about the narrator's performance because his tone, cadence and accents felt "warm" and familiar to me. Many moments moved me and kept me wanting more but certainly the bittersweet end moved me to tears and evoked some powerful feelings about compassion, love, loss and letting go. I will hold Pax and his boy Peter in my heart forever. This audiobook is merely a little over 5 hours long, yet, it managed to leave its imprint in my heart and memory. It's a rare thing when a book will do that to you. Diablomon!! How to you love something that hurts you? I stayed up nights to listening to it, drawn to the struggle and hoping for an end that no self respecting author would write. An end, that I knew was coming, but hoped wouldn't. It is a beautiful struggle. There are parts I wish were not, but I am not an author, and I'm not qualified to know how a story like this needs to be told to be effective. I want to tell my 8 yr old daughter that life is safe and fair, but to do so would be a lie. We have this luxury of deluding ourselves. I love the story. it breaks my heart, and I don't know that I could listen again, but I'm glad I heard it once. I was drawn by the cover and blurb of this title. I had hoped it would be good for my grandchildren to listen to but I think they would have to be middle grade and up. Peter has raised Pax since a young kit who lost his parents. Peter is now 12 and his father has enlisted in the military to help protect the homeland. His father insists that Pax be dropped off in the woods as he delivers Peter to another town to live with his grandfather while father is away a war. After arriving at his Grandfather’s Peter realizes what a mistake it was to have left Pax behind. He takes his backpack and a few supplies to return to the woods to get his beloved Pax. Two hundred or so miles away, Pax waits at the edge of the woods for ‘his boy’ to return for him. Finally, the little fox must move to find water and food. Pax meets a vixen and her little brother. The young kit is thrilled to play with Pax but the vixen smells humans on Pax and wants nothing to do with him. Pax makes friends with an older fox who agrees to travel with him to try to go back home to meet with Peter. Peter meets a gruff female who lives a secluded life. She was traumatized by her experience as a soldier and withdrew from society. She isn’t thrilled to have a young boy show up in her barn but she can’t send him back out without helping him. The story is told in alternating views for Peter and Pax. They both run across obstacles and dangers along their journey to find each other. I really liked the warm bond between Peter and Pax. They grow in their new situations and they find friends to help them and whom they help. The author uses the story to comment on war, love, injury, society, friendship and even environmental issues. I liked how it makes the reader/listener think about our behavior towards each other and nature. The reason I hesitate to recommend this for younger listeners is because there is death and loss that might be difficult without parental guidance. Not that the young haven’t dealt with these issues before in classics like Old Yeller, The Yearling and even Bambi, Dumbo and the Lion King. I found the story beautifully written, engaging and sweet. I do recommend it - perhaps for family listening. Audio Notes: Michael Curran-Dorsano does a wonderful job with the narration. He captures the feelings of Peter and Pax, as well other characters. His narration pulled me in and kept me listening. The narration enhanced my enjoyment of this story. 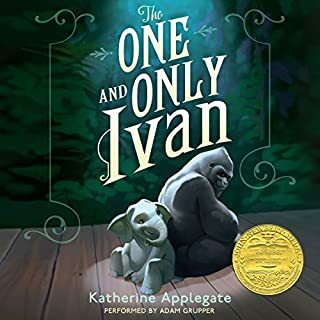 My two boys and I loved this story and could not put it down. It leaves the listener with much to ponder about how we treat each other and how we treat nature. The world has a brand new come of age - Boy and his wild rescue story. Excellent writing, immersive world. Loved every second of it, don't let this one slip past you or the kids in your life. 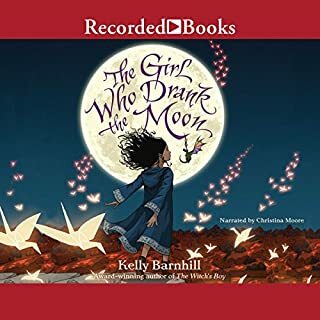 I had heard great things about this book and I bought the audio version of it to see if it might be a good gift for my 9 year old niece. It is recommended for the 8-12 age range. There are a lot of really serious and frankly depressing topics covered in this book - war, death, abandonment, anger, trauma, violence. There are also quite a few really inspiring themes - bonds of love, standing up for what you know to be right, working hard for important things, and learning to deal with the bad things that happen to you instead of stuffing them down inside. In the end I decided that the heaviness of the story was not what I wanted for a gift for my niece, but the well-written story of a boy's journey to do right by his beloved animal companion will stay with me for a while, and I am glad to have listened to it. My eyes misted over more than once listening to this book, and I think it might be a little too much for my tenderhearted niece to handle. One last practical note - I found the narration to be a bit slow, and speeding up the playback to 1.25x made it a lot more listenable for me. 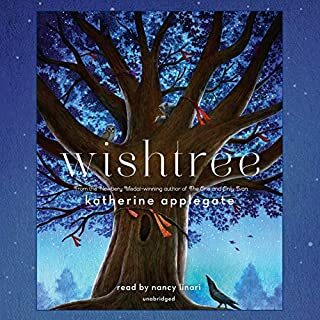 Someone recommended this book to me because my son's name is Pax, and I am so glad she did! It's a very heartwarming story that addresses tough topics. I will definitely have my Pax read this when he is older. I downloaded this book for 2 of my grandkids & I to listen on the road to my house, a 6-8 hour drive. These 2 are 9 & almost 6. We listened all the way home. Both kids stayed vet engrossed in the story. Because the book was longer than the drive we had not finished the book at our arrival to the ranch. About a week into their stay, even with the addition of their 9 year old cousin, they asked to finish the book to find out what happened to Pax! This story is both heartwarming & heartbreaking. My older granddaughter cried at the ending. We all enjoyed this book immensely.